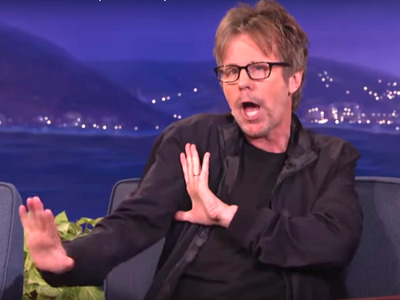 The former “Saturday Night Live” star appeared Tuesday night on TBS’s “Conan” and got roped into doing his impersonations of this year’s presidential election candidates. Host Conan O’Brien wondered how Carvey was going to evolve his impersonation of Donald Trump in light of this year’s presidential race. “If he starts World War III, we’ll be in our bunkers, and he’ll still be selling us on closed-captioned TV,” Carvey said, before throwing himself into a hilarious impersonation of the real-estate mogul. “I do him very feminine, I don’t know why,” Carvey added before launching into an impression of Trump getting a manicure. “Hillary, to me, is the little engine that could, never gets tired,” he said, before explaining that he always pictures her husband Bill Clinton in her ear. “I feel like Bill is back there all the time, because Bill is the master,” he said. Watch Carvey’s election impressions below.